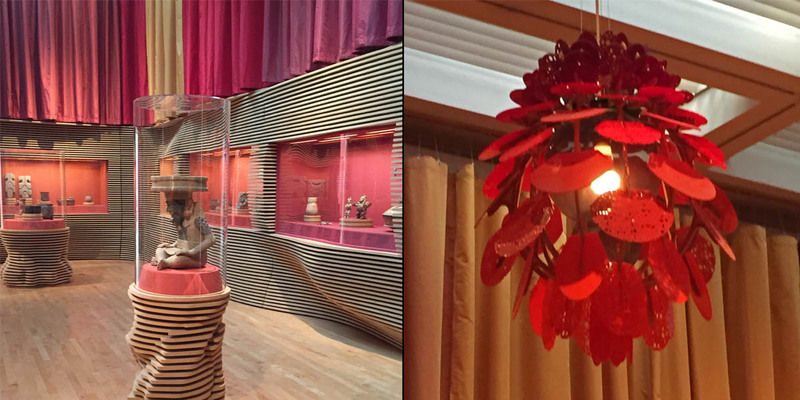 If you’re into Mesoamerican art and you’re in LA, be sure to check out the Los Angeles County Museum of Art’s three-room Pre-Columbian Art Gallery on the fourth floor of the Art of the Americas building. The Pre-Columbian Gallery’s rooms are kind of weird. They’ve got Op-Arty walls made from curved strips of wood, hideous chandeliers, and what appear to be shower curtains lining the upper walls. But if you can get past the wacky presentation, the material on display is astonishing. 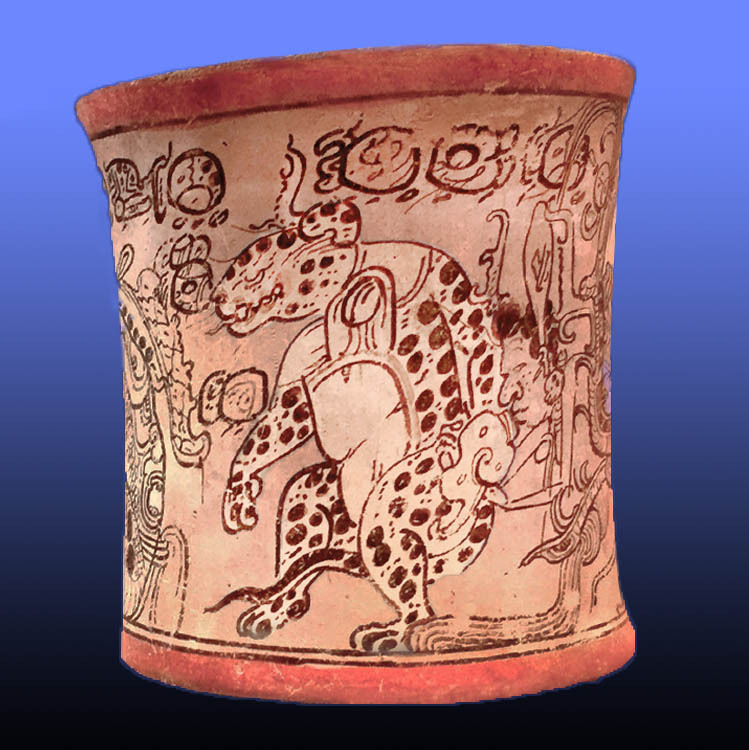 One remarkable piece is a barely-six-inches-tall ceramic cup with nearly fifteen-hundred-year-old Maya glyphs painted on its side that identify it as a vessel to drink chocolate from. The images also tell a story about where the sun goes when it’s not in the sky. The artist who painted this cup is known in some circles as the “Metropolitan Master” for a similar vase he painted that today lives in the Metropolitan Museum of art in New York. The Met Master painted several fantastical beings on the LACMA cup’s side. The most prominent is a jaguar who wears a scarf and walks upright on his hind legs. The hieroglyph for “Sun” is prominently displayed on his stomach, indicating he’s the living embodiment of where the sun goes when it drops below the horizon: a deep cave that leads to the Mayas’ mythological Underworld.